In an effort to make the volunteer leadership workshop, Community Standards: Rules and Regulations more accessible to clients in Middle Tennessee it was offered in March at two locations. 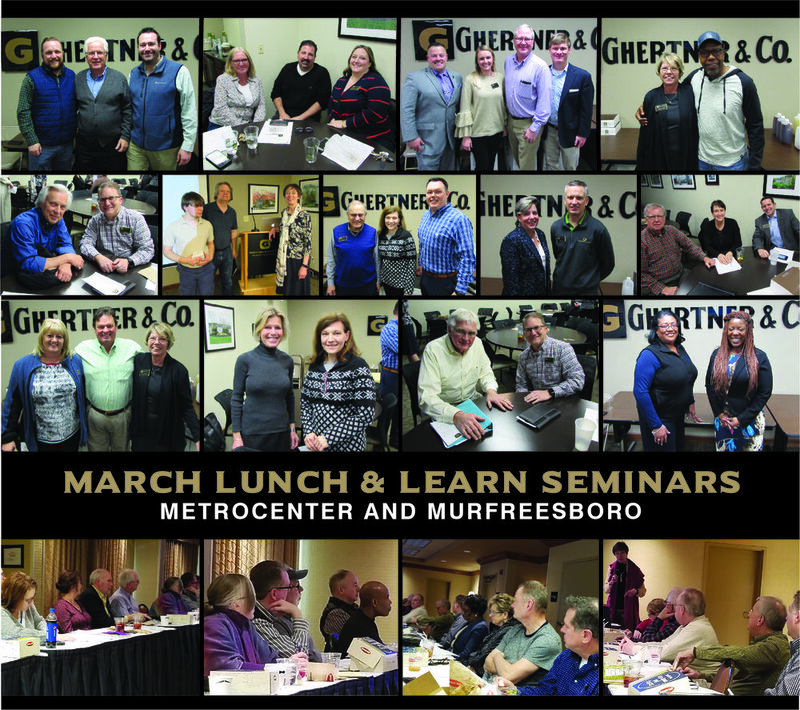 Several Board members and Community Association Managers were in attendance at the Murfreesboro Lunch & Learn on Wednesday, March 6. The seminar was presented again at the Ghertner & Company offices in MetroCenter on Tuesday, March 12 to a full house. Monthly Lunch & Learn workshops are presented on a variety of topics to better inform and equip HOA Board of Directors in their role. HOAs managed by Ghertner & Company can have their Board members attend at no cost and a complimentary lunch is served. Ask your Community Association Manager about attending or contact Theresa Savich at theresa.savich@ghertner.com.